Representations of the British landscape can be seen in this design, contrasted with an Australian landscape. The dorsal aspect of the moth shows flight as seen from beneath – a gypsy moth biplane, birds and insects set against a sky background. The head of the moth was painted to represent 1930s goggles and a flying helmet which merged into a tree as seen from beneath. 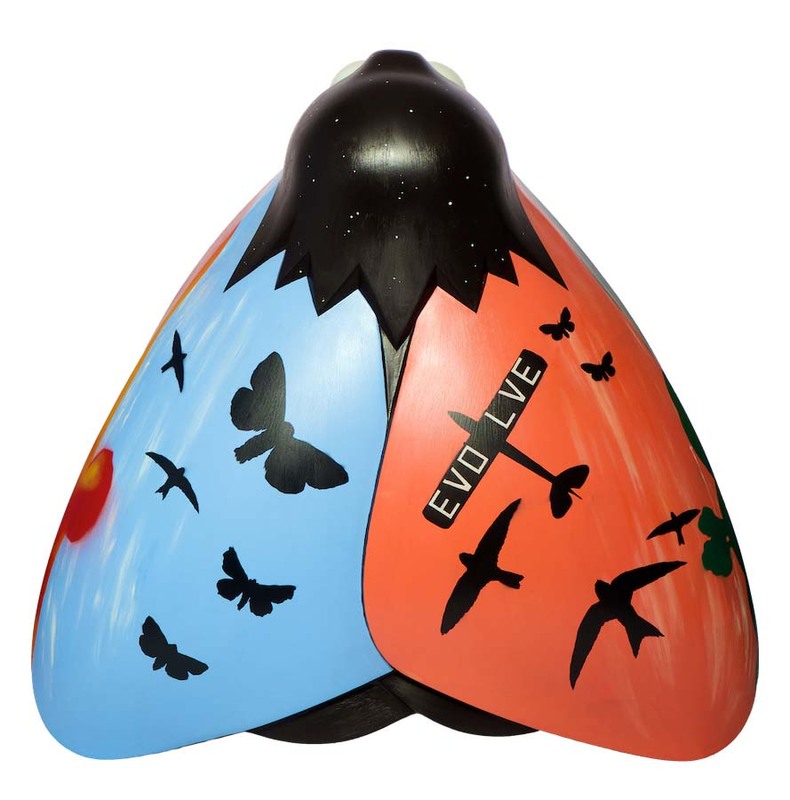 Service users at Evolve interpreted the many ideas behind The Freedom of Flight and condensed them into a final design, highlighting the name of the moth as their theme and a colour template. The design was thought up in collaboration with Debi Lawson, Eating Disorder Practitioner, and Sean Cleverley, Occupational Therapist at City Care. Evolve is Hull’s eating disorder service. The organisation works to promote eating disorder recovery and offers support and interventions to adults in the Hull area. City Health Care Partnership CIC is a co-owned organisation working to provide a range of health and care services to the public across the country. CHCP CIC offers children’s health care, community nursing and services designed to aid healthy lives amongst its portfolio and invests the profit it makes into services, staff and the communities in which it works.